For just a few hours now, QlikView 12, the latest version of one of the world’s leading Business Intelligence platforms, has been available on the market. Besides several innovations familiar from the beta version, the software now offers additional interesting functions. Around two months after ending the beta test phase, Qlik has published the latest release of its proven analysis solution, QlikView 12. Even before the official release, users were able to get a first glance at several of the new features and extensions. The new features include the improved QIX Engine, extended touch functions, and a new online help portal including context-sensitive help pages to provide support during product use. Furthermore, the beta version already included optimisations pertaining to the security of external interfaces. 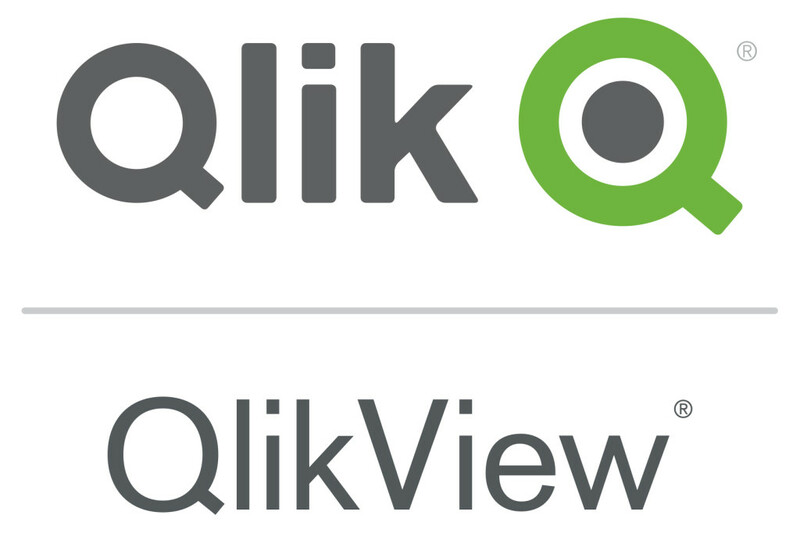 Direct integration of Qlik DataMarket in QlikView has also been added to the official release of QlikView 12. The innovative, cloud-based data service provides users with access to a large collection of different data records in a variety of thematic areas, e.g. population numbers, currencies, and weather. The data that may be accessed and used directly from QlikView is partially freely available and partially subject to a charge. 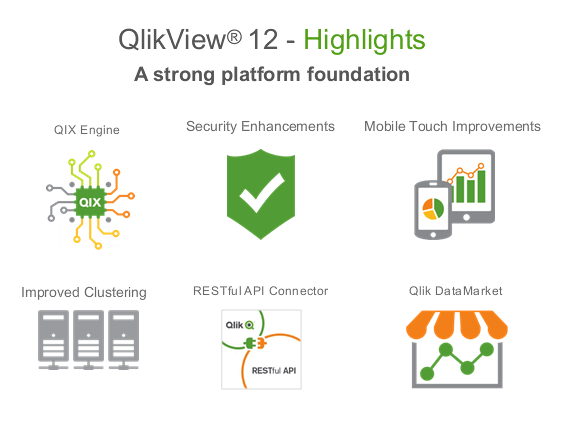 Besides this, QlikView 12 includes a RESTful API Connector. This enables a seamless connection between QlikView and other web-based data sources that also possess a RESTful API Connector. For example, QlikView may be simply connected to social networks such as Facebook, Twitter, and LinkedIn, without the need to involve third-party providers or use other extensions. Among the numerous solution approaches in the area of Business Intelligence for Microsoft Dynamics NAV, external analysis systems like QlikView and Qlik Sense in particular represent a genuine, high-quality alternative. Because these independent solutions are connected from outside to the ERP system, additional sources can also be integrated without any problems. In this way, the Qlik platform offers the option to combine and consolidate the most diverse systems. 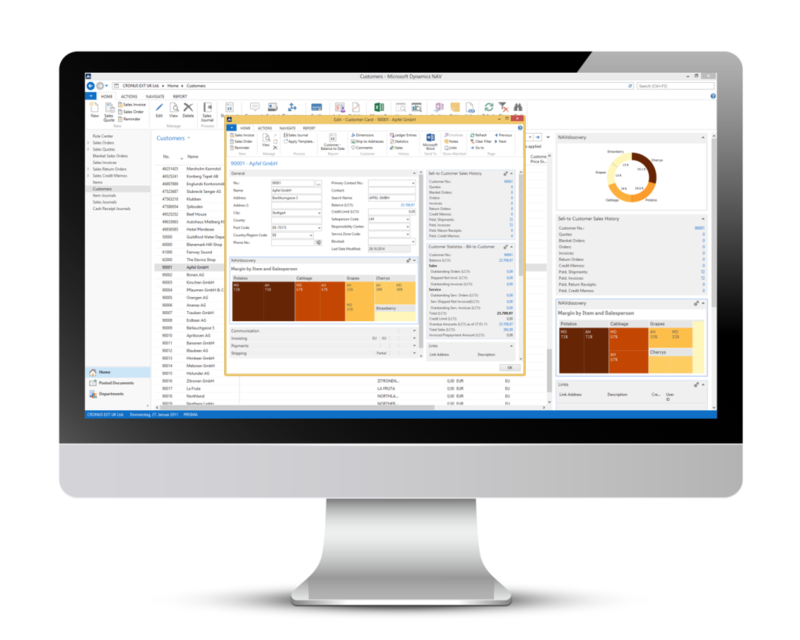 With the newly released version of NAVdiscovery 2.0, the QlikView and Qlik Sense business intelligence solutions may now be easily and conveniently connected to and managed with Dynamics NAV, Dynamics CRM, and numerous other data sources. 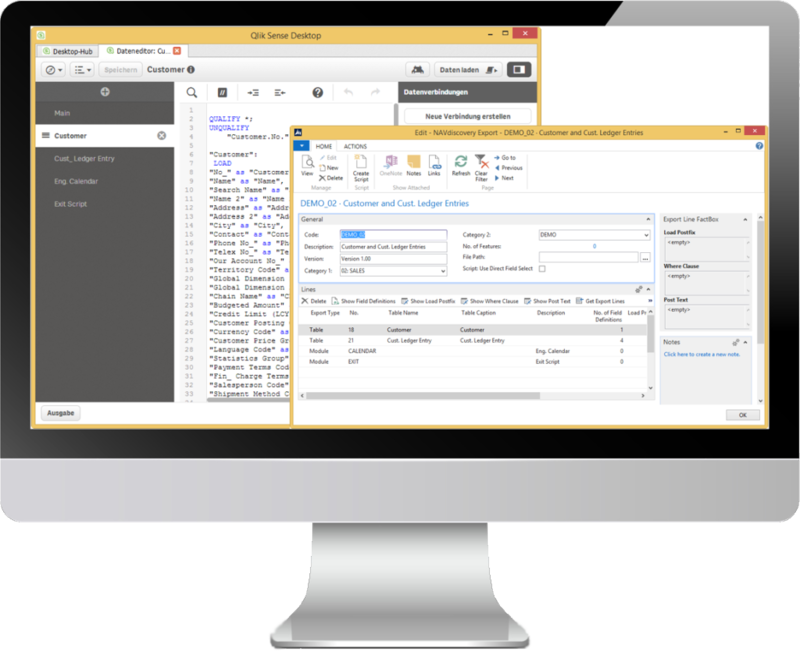 Using the expanded NAVdiscovery Script Builder, the data models for QlikView and Qlik Sense may be produced directly from the individual NAV environment. The desired information can be directly selected, renamed and connected full-automatically. This way, the respective LOAD scripts may easily be created at the press of a button for QlikView, Qlik Sense, or both analysis solutions. In addition, any evaluation and analysis views of both Qlik products may be integrated directly into the interfaces of Dynamics NAV or Dynamics CRM using NAVdiscovery Integration. The systems’ evaluation options may therefore be easily expanded with much more, and relevant key indicators are available at every possible position. The QlikView and Qlik Sense elements to be displayed may easily be configured and changed via the NAVdiscovery menu. With NAVdiscovery 2.0, integration and management of multiple data sources has also been added. An agile QVD concept enables any other data sources to be integrated and consolidated in addition to Dynamics NAV. 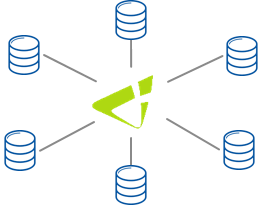 This makes the implementation of diverse usage scenarios like easy operation of multiple NAV clients or the integration of Dynamics CRM and other data sources flexible. From the 30th of November to the 2nd December, prisma informatik will present the new release of the NAVdiscovery Toolbox within the context of Microsoft Convergence Europe. This event qualifies as a meeting point for the Microsoft Business Community and warmly welcomes all of its partners, customers, and interested parties again this year. To arrange a meeting, simply send an e-mail to vertrieb@prisma-informatik.de or contact us by calling 0049 911 239 805 – 77. If you will not be visiting Convergence personally, then we would be delighted to keep you up to date via our Twitter account. The Beta version of the upcoming product release QlikView 12 is now available to existing Qlik customers. They have the opportunity to test the software until the 25 September and provide feedback to Qlik. QlikView 12 is designed on the basis of the same QIX Engine as Qlik Sense. This allows users to benefit from several improvements, which will above all improve the performance of many applications (in particular those with large tables). The new version also contains security optimisations, which among other things affect the product’s external interfaces. The improvements will not necessarily be noticed by end users and have no influence on performance and program sequences. An online help portal provides users with immediate support in case of problems and questions. Help pages can be accessed on a context-sensitive basis directly from the application, and have a similar format to the help portal for Qlik Sense. Additionally, QlikView 12 now offers the possibility of using all functionalities that are executable in the web client via keyboard and mouse (e.g. create, edit and move objects, change properties, use the scrollbar) via the touchscreen of mobile end devices, too. From now until the 25 September, partners and existing customers can test the Beta version of QlikView 12 and direct their feedback to Qlik. Last week, Qlik announced the official release of Qlik Sense 2.0, the first major release of its data visualization solution. The features included in the new release focus largely on improved possibilities regarding access, loading and processing data. 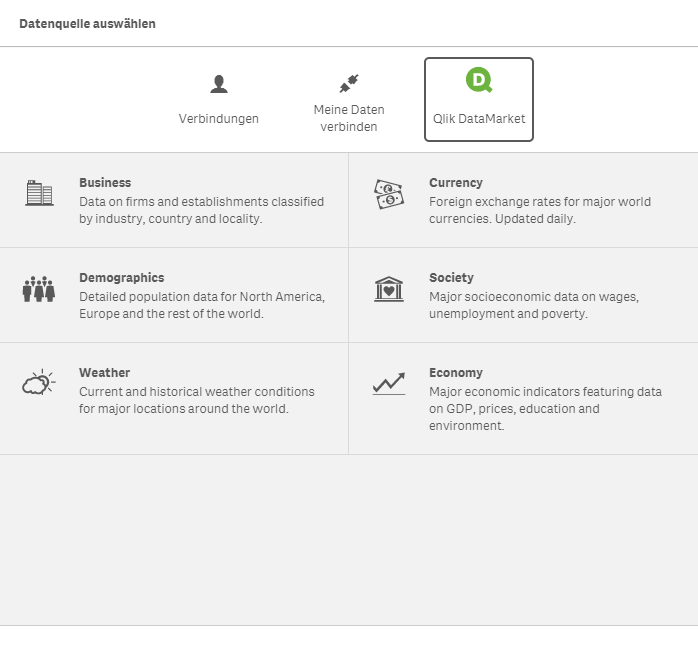 The new, cloud-based data service provides the ability to integrate external databases, including demographic information, currencies, economic indicators or weather information directly out of Qlik Sense 2.0. The data sets include both a free and a paid offering. The data load and the automatic, intelligent identification of key relationships in data models have been further improved. Thus, connecting and processing data from different sources has been further simplified – even for non-technical users. Large amounts of data can now processed and presented even better. New algorithms and visualizations allow meaningful summary even of billions of individual data points. 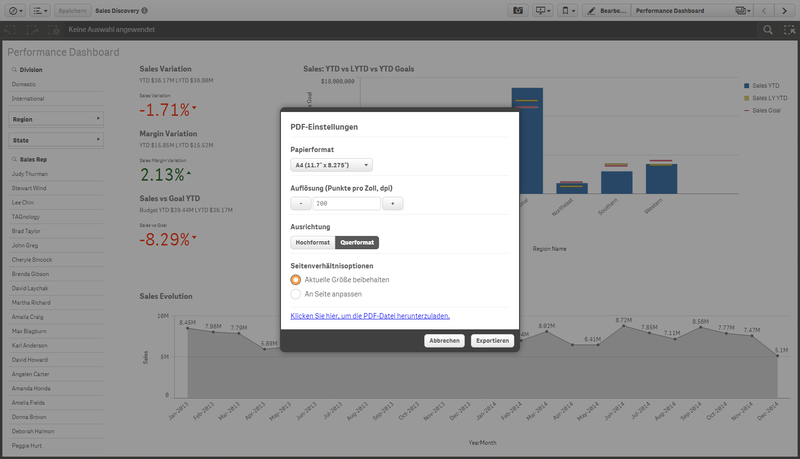 It is now possible to export worksheets directly from Qlik Sense out as a PDF. The export settings can be customized. The name “Qlik Sense” stands for the whole product family, including Qlik Sense Enterprise, Qlik Sense desktop and Qlik Sense cloud. The launch of the further announced new products is planned for July this year. The new development environment “Qlik Analytics Platform” is scheduled for 01 July 2015. To establish efficient analysis and reporting processes, meanwhile more and more companies implement flexible, external tools and take advantage of the many benefits and opportunities offered by the modern self-service BI platforms compared to traditional business intelligence systems. Nevertheless, even after having acquired an external analysis tool, certain reporting options within the ERP system are still required, for example for displaying relevant key performance indicators (KPI). As Qlik partner especially for Dynamics NAV, prisma informatik GmbH provides a convenient and fast connection of the ERP system and the Qlik solutions with the help of the NAVdiscovery Toolbox. Both, the connection of QlikView as well as Qlik Sense, can be implemented much easier in comparison to standard procedures with NAVdiscovery. With the help of Dynamics NAV Integration, any evaluation and analysis views can be integrated directly and interactively into the surface of the ERP system. The Qlik components can be embedded on any desired level into Dynamics NAV. The present analysis capabilities within the ERP system can thereby be easily complemented. By integrating the Qlik solutions, there are almost unlimited evaluation possibilities available in Microsoft Dynamics NAV. Each user can retrieve the relevant information without support from the IT department. Basically, data can be investigated in many directions and independently evaluated – the user is not restricted to pre-built analysis options. Furthermore, with Qlik Sense, there are additional simple ways for creating visualizations, reports and dashboards by dragging and dropping. 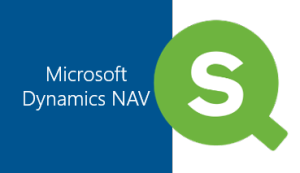 Overall, the deep integration of the self-service BI components into Microsoft Dynamics NAV offers numerous benefits, which can be used and customized according to business requirement. The Qlik objects to be displayed can thereby be configured and changed easily via the NAVdiscovery menu. Seeing is believing – please contact us for a free online demonstration on the possibilities of the NAVdiscovery Toolbox! Since powerful analysis and reporting tools are becoming more and more indispensable in today’s business world, many companies count on BI solutions which promise users considerable time and cost savings in addition to the easy use. Despite the diverse and innovative analysis options offered by the modern platforms, the generation of the necessary data models for later evaluation entails laborious and time-consuming effort, even for IT specialists. Particularly data structures, which are not yet available in the desired form in the existing source data (such as Microsoft Dynamics NAV), often have to be processed first extensively, before they can be used for later analysis in QlikView and Qlik Sense. Examples herefor can be simple applications such as cluster analysis (customer, item) according to different criteria, or even more complex business reports such as balance sheets and income statements (P&L). The mapping of account schedules from Dynamics NAV in QlikView and Qlik Sense into dynamic pivot tables is also a common requirement. For these applications, the grouping function of the NAVdiscovery Toolbox provides the ability to create analysis views of any data structure from the master data of the ERP system. In this way, individual evaluation structures can be defined, independent of the existing NAV database. The freely selectable structures require no additional field or table extensions and can be created in unlimited hierarchy levels. The setup of the evaluation structures is carried out directly in Dynamics NAV – within the usual data structures and business logic. This results in almost unlimited options for the design of evaluations. At the same time, the dimensions of the groups can be changed at any time or be used as a template for new evaluations. The NAVdiscovery Toolbox already contains templates for the most frequently used evaluation structures in Microsoft Dynamics NAV, which can be extended, adapted and reused flexibly. Seeing is believing – don’t hesitate to contact us for a free online demo on the possibilities of the NAVdiscovery Toolbox! At this year’s global partner summit, BI software vendor Qlik announced not only the first major release for Qlik Sense, but also previewed of a number of other new products in the course of this year. Thus, Qlik is expanding its portfolio significantly and evolves from solution provider to platform vendor. At the annual partner conference “Qonnections” last week in Dallas, Qlik announced the first major update of its data visualization solution called Qlik Sense Enterprise 2.0 to be released in June this year. In a preview of the features included in the new version, amongst others, enhanced facilities for loading and processing data were presented. 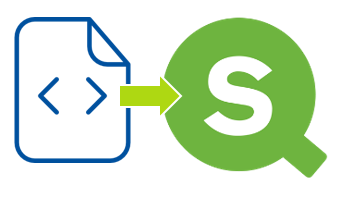 The new Smart Data Load function allows users to select from multiple data sources and combine them into one application. The new features also include improved visualization options and features concerning the map objects, KPI objects and pivot tables, as well as the possibility for an easy export of analysis views to PDF and PowerPoint. Moreover, the current Smart Search function will be further expanded. The new Qlik Analytics platform will offer developers in the future many new opportunities for the creation of applications and web mashups. The Qlik Analytics platform is based on the patented QIX analysis engine and includes all available product APIs. By using the Qlik Analytics platform it will be possible in the future to comprehensively manage all components of the new Qlik family on a common basis. 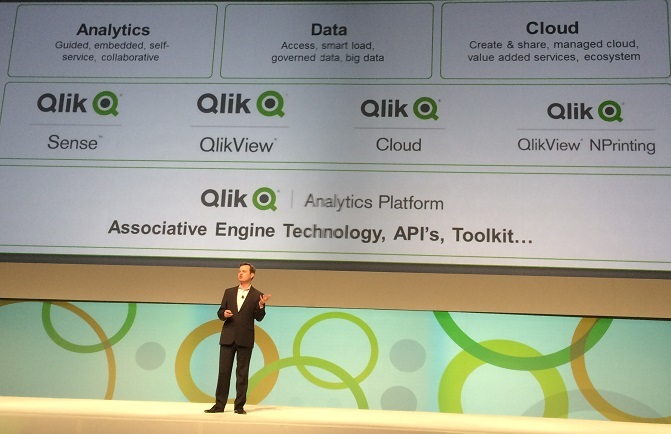 The Qlik Analytics Platform will be available as of June this year. The Qlik Sense Cloud (so far in its beta version) is a free service, by means of which the own Qlik Sense applications can be shared with up to five other users. To access the shared content via the cloud, an installation of Qlik Sense is not necessarily required. Qlik Sense Cloud is available immediately. Additional feature enhancements are planned for the second half of 2015. Qlik DataMarket is a service that is best comparable with an app store for data. It allows easy access to a variety of external data sets (such as corporate demographic information, currencies, economic indicators, weather data) in the most diverse areas and levels of detail. 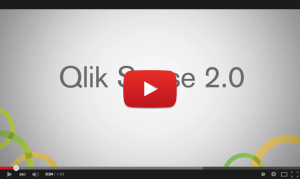 Qlik DataMarket will be available for Qlik Sense as of June this year, for Qlik View in the second half of 2015. With the help of Qlik Sense Charts analysis views can be embedded in interactive websites. The respective objects are automatically rendered and optimized for the device on which they are presented. Qlik Sense Charts (beta version) will be available as of June this year. 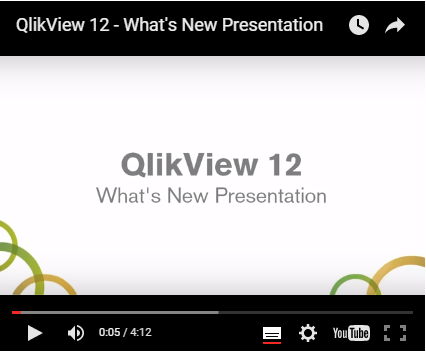 The next release of the proven analysis solution QlikView 12 was also announced for the second half of 2015. With this release, QlikView is going to be operated and developed on the same technical platform (QIX Engine) as Qlik Sense. In this way, QlikView customers benefit long-term from the improvements and investments made by the software producer. With the new product portfolio, companies basically are offered more deployment options, freedom of choice and flexibility in the context of an integrated, scalable analysis solution. This way, Qlik is positioning itself for the future as a provider of an innovative and integrated, platform-based analysis solution that covers a wide range of application scenarios – scalable for companies of all sizes and requirements. 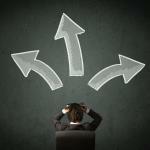 Efficient analysis and evaluation methods are essential in times of modern ERP systems. Many companies already benefit from so-called self-service business intelligence solutions and integrate the flexible tools of various kinds into their daily business. But being able to work independently with BI software usually also requires the consultation of an expert to begin with. Resources and time are precious commodities in today’s fast-paced business world. In this context, the deployed software solutions are expected to make every day work more efficient and to simplify workflows. Above all, conventional analysis and reporting methods often involve considerable effort and cost. To prevent both, and to create more flexibility, many companies have chosen to use modern self-service business intelligence software in the past few years. In the near future, a further increase is to be expected in this area. Innovative solutions enable users to work independently with corporate data, analyze it and eventually use it for relevant evaluations and reports without having to depend on assistance of the IT department. Because no extensive and continuous communication between end users and the IT department about requirements regarding evaluations to be made is no longer necessary, the expense in terms of time and personnel can be reduced significantly. Despite the intuitive operating concept, self-service BI tools can often not be readily implemented: particularly for the processing and integration of necessary data sources, it is helpful to consult an expert for advice in advance. 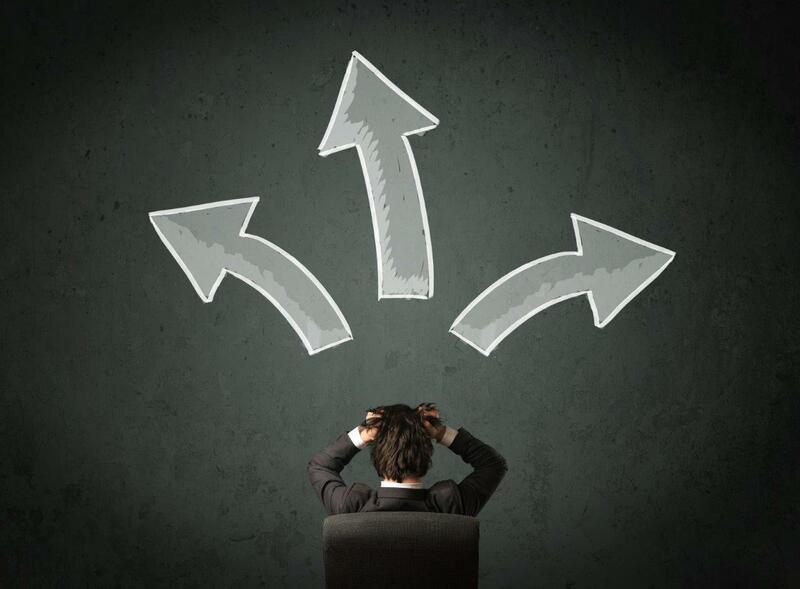 During implementation process, basic problems might occur, which often cannot be sufficiently solved with user skills. For example, in order to determine the complexity and the data structures of modern What is an ERP system in full measure, and to be able to extract the required information and tables, profound understanding of the process, and system knowledge is required. To find and prepare the required data within these structures, service providers can rely in most cases on many years of experience in this field. Furthermore, an appropriate evaluation concept and best practice data models tailored to the specific requirements of the company should be developed before implementation of the self-service business intelligence solutions. Thus, it’s necessary to clarify in advance, what information and evaluations are required by the individual user. The use of modern self-service business intelligence tools provides many advantages. In addition to the simple and intuitive interface which makes creating evaluations and reports for end users much faster and more efficient, especially the enormous cost, time and resource savings due to not having to depend on the IT department are important factors. However, it should always be considered that expert knowledge is indispensable when implementing a self-service BI solution in order to avoid the problems mentioned regarding data processing and interpretation. Although modern self service Business Intelligence solutions make it way easier for end users to create own analyses and reports, and even if they are much faster and more flexible to implement than using traditional BI tools, the development of relevant data models as a basis for further evaluations still requires a certain kind of “expert knowledge”. Even for IT professionals the previous processing and integration of data sources, especially from complex ERP systems such as Microsoft Dynamics NAV, does often involve tedious and time-consuming effort. The Qlik connector “NAVdiscovery Toolbox” was developed specifically for these requirements: both the integration of QlikView and Qlik Sense into Dynamics NAV can be realized easily and comfortably with NAVdiscovery. NAVdiscovery does not provide ready-made script templates as do other connector solutions. Rather, the Qlik data model can be automatically generated from the respective NAV environment with its own script generator. This way, users can work to create LOAD scripts in the known surfaces of their ERP software – and the technical design of the data model takes place within the usual data structures and business logic. 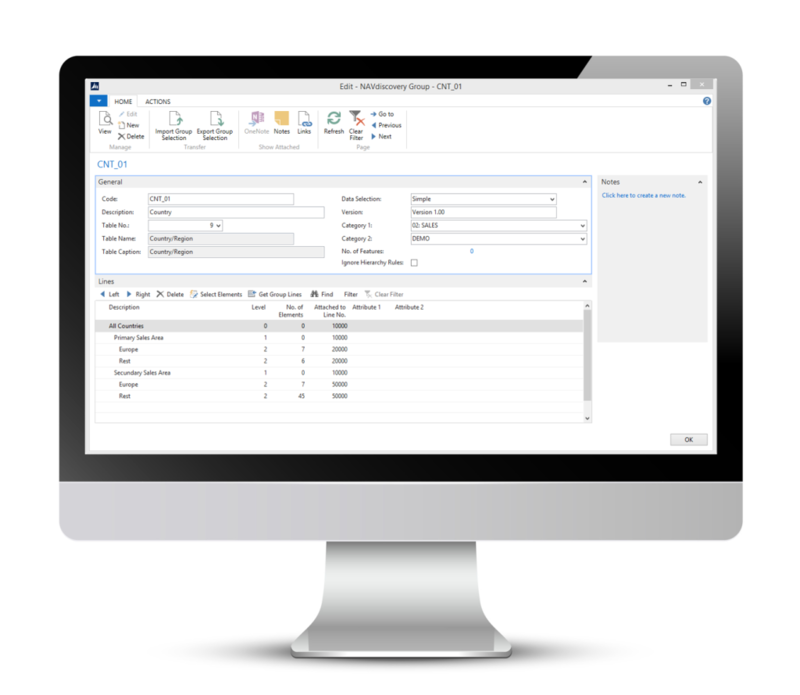 With NAVdiscovery, the desired tables and fields within Dynamics NAV can directly be selected, automatically renamed and connected. Also the export of option values into readable text and the assignment of relational linked tables is done automatically. For IT, NAVdiscovery allows to create individual, reusable script templates for Microsoft Dynamics NAV, and also provides convenient options regarding management and backup in the development process. Seeing is believing – don’t hesitate to contact us for a free online demo to see the possibilities of the NAVdiscovery Toolbox!